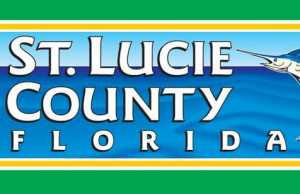 Cops Car Chase In St. Lucie County Ends In Crash That Killed One And Injured Six | Schuler, Halvorson, Weisser, Zoeller & Overbeck P.A. A 16-year-old boy was killed when a SUV that was being pursued by cops smashed into him in St. Lucie County, Florida Highway Patrol said. Cops spotted the BMW X5 with a license plate that was matched the description of a suspect from an earlier robbery incident in Broward County and pursued the vehicle. The cops were driving in an unmarked car and deployed their flashing lights and sirens in an attempt to pull over the BMW at 116th Ave and 225th street, said an FHP spokesman. The suspect simply sped from the scene after ramming the unmarked police car on his way out, the spokesman said. That’s when the BMW ran a red light and slammed into a 2006 Saturn traveling eastbound on St. Lucie County. The BMW was on its side when the boy’s body was discovered . The suspect was identified as a 41-year-old convicted criminal. The driver, who was taken to the hospital, is currently out on parole for murder, police authorities said. Five other people were taken to the hospital for minor injuries, a FHP spokesman said.